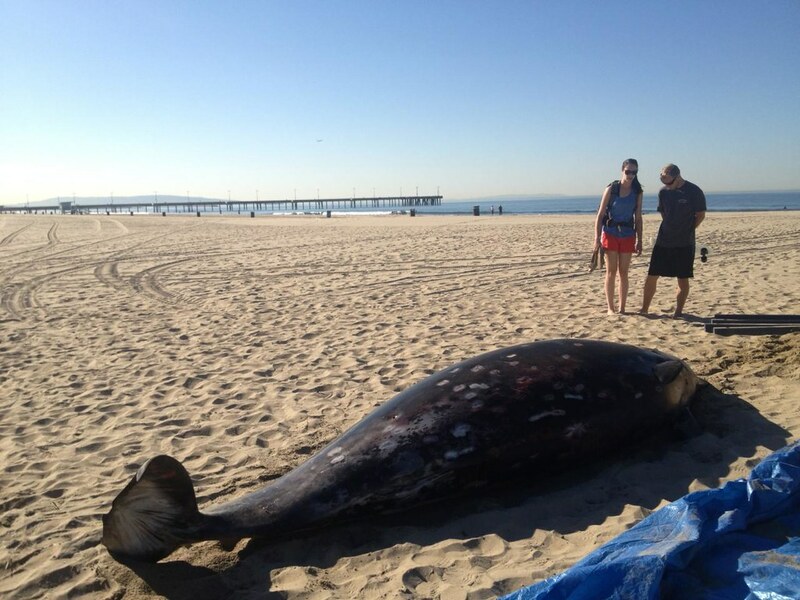 Rare Stejneger's Beaked Whale Beaches in Venice - Yo! Venice! A rare Stejneger’s Beaked Whale came ashore in Venice overnight, ridden with tiny shark bites. 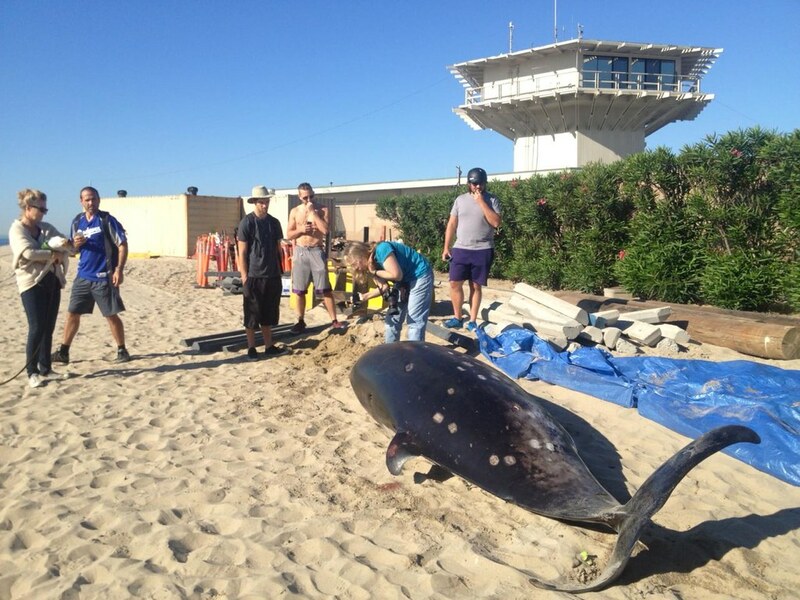 It is believed that the approximately 12 foot and 800 pound female was alive when she beached, but died about 15 minutes later. While the whale did have multiple bites, the cause of death is as of yet unknown. 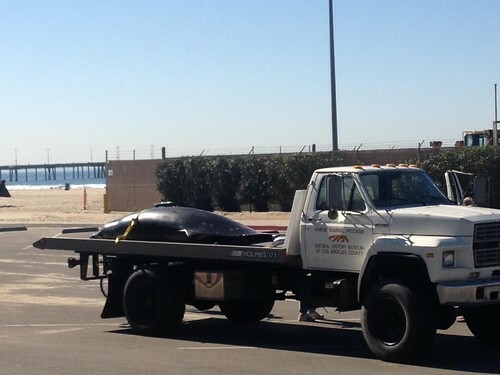 The Los Angeles Chapter of the American Cetacean Society is now investigating the whale’s death. 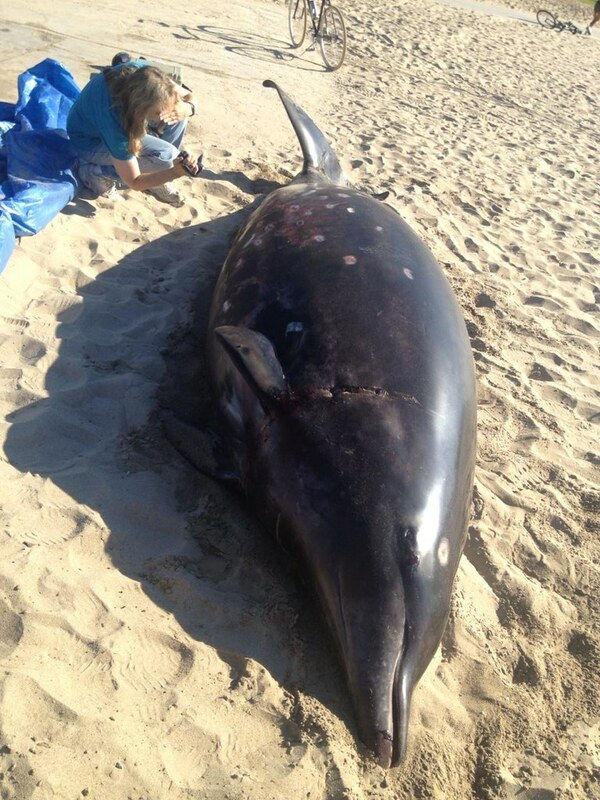 Stejneger’s Beaked Whales are usually found in much deeper and colder waters. It is believed that none have come ashore in the Santa Monica Bay in over 25 years.